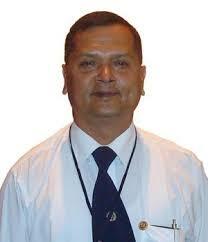 Dr Birendra Kumar Bista is the Chairman & Managing Director of Neuro Hospital Pvt Ltd. He was awarded the Icons of Healthcare Award for Excellence in Neurology at the 2nd Icons of Healthcare Summit & Awards hosted in Singapore on July 21, 2017. Dr Bista is a Graphologist also, telling your Personality with your handwriting. Neuro Hospital Pvt Ltd is situated in the second largest city of Nepal, Biratngar. This hospital is registered in Company Registration Office, Kathmandu & licensed by Ministry of Health, Government of Nepal. It is a Multi-Disciplinary Hundred Bedded hospital which provides services to the people not only in Eastern Region of Nepal but also in the neighbourhood of North Bengal & Bihar, States of India.